Over the years, I've been fortunate enough to own many cool cars. Here are a few of them. 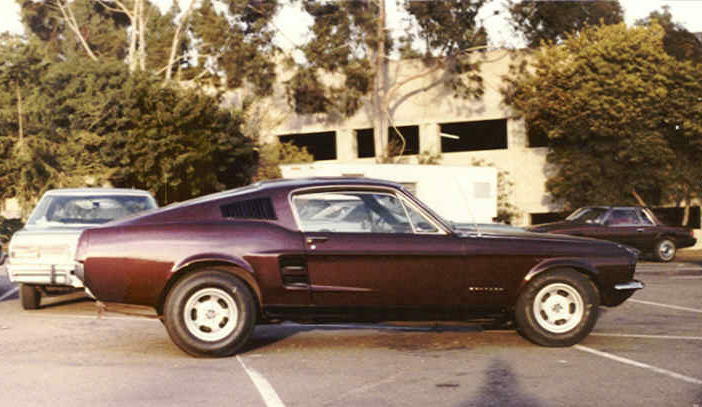 My first performance car, a 1965 Mustang fastback. It was Poppy Red with a hot 289 and 3-speed stick. Great car. 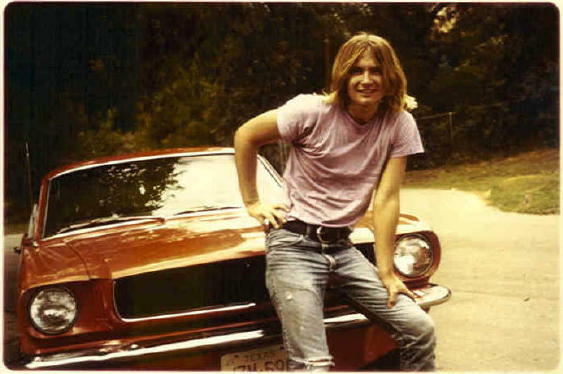 This pic was taken in 1975 when I was a junior at the University of Texas. My 1967 Mustang fastback. This car was FAST. Had a 390 with all the goodies, put out around 450 horsepower. 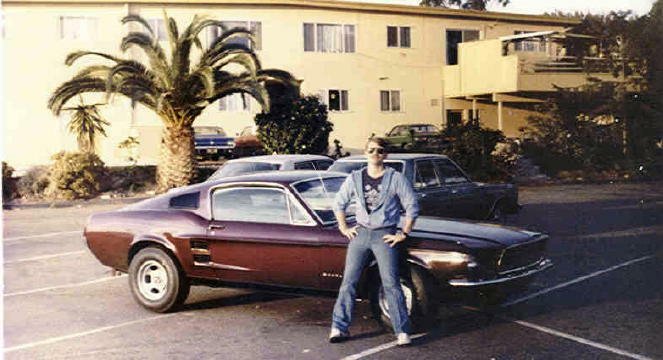 In southern California in the early 80s you could get rare muscle cars for almost nothing. This pic was taken in 1982 at my apartment in San Diego. I was a Navy lieutenant. 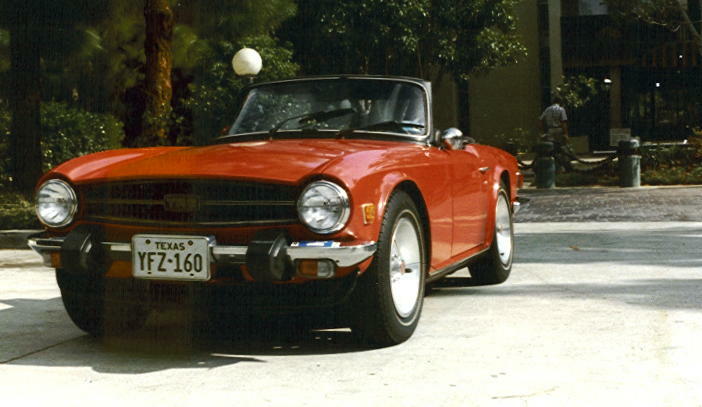 My 1975 Triumph TR-6. 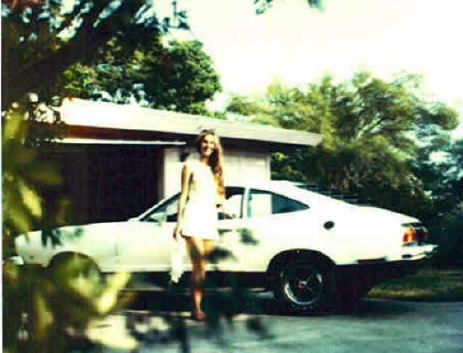 I also had a sweet 1974 model but can't find pictures of it. 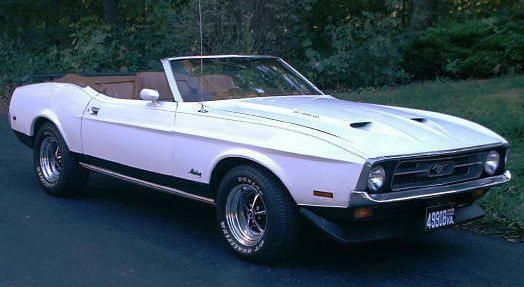 My 1971 Mustang convertible. Sweet car. 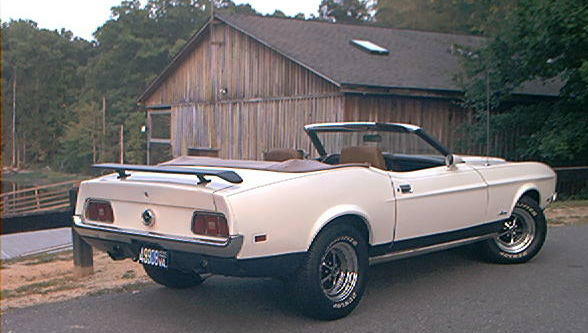 Had every option you could imagine: 351-4v, 4-speed, TractionLok, deluxe interior, gauge package, even electric windows! 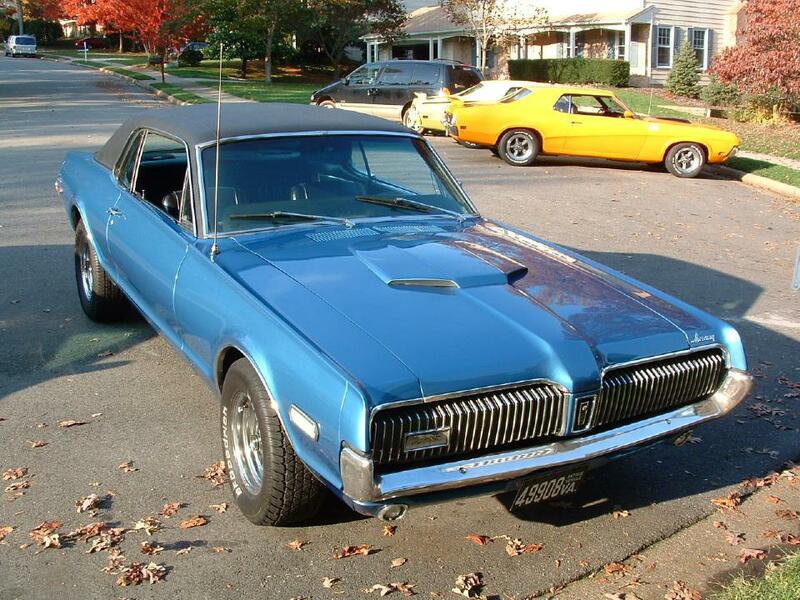 I briefly owned this 1968 Cougar standard coupe. It had a 390 with automatic. Really nice car. Gave me the Cougar bug! Note the two Cougar Eliminators in the background; Jim and Tony's. My 1977 Mach One. This was a cool car. It had a 302 V-8 and handled like a road racer. Drove it to Officer Canidate School in Newport, RI then cross country to San Diego and up to Bremerton, WA. Sold it so I could buy a 1975 Triumph TR-6 when I went back into my British car phase.